The youngest player on the Bradford Rattlers, Egor Kurbatov, has been recognized as the GMHL's Rookie of the Month for September, 2015. 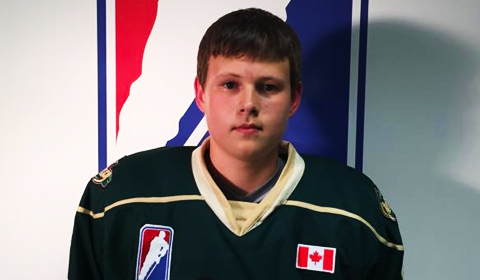 The Rattlers organization is proud of Egor and his accomplishments this month. Young Russian forward Egor Kurbatov has been a dominating force for the Bradford Rattlers this season. Kurbatov is a '99 born skilled forward registering over a point-per-game in his first GMHL season. Through 4 games, Egor has notched 6 points (4g, 2a) helping to lead the Rattlers to a 4-0-1 record through the first month. Egor is a product of the Krylia Sovetov Moska Russian minor hockey system.